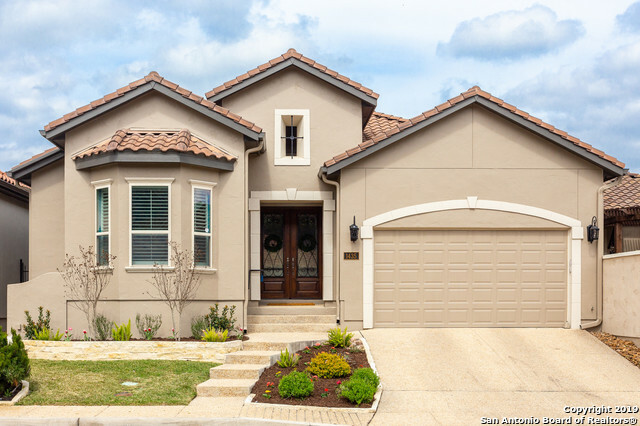 All Greystone Gardens homes currently listed for sale in San Antonio as of 04/22/2019 are shown below. You can change the search criteria at any time by pressing the 'Change Search' button below. "**X-treme Makeover**Luxurious living w/very easy maintenance in a gated community. Dramatic entry w/very high ceilings & an open floor plan. Kitchen was remodeled w/granite & a custom glass tile backsplash. All of the flooring was just replaced w/wood and large tiles in the main areas***THE HIGHLIGHT is the million dollar home masterbath*** Herringbone flooring, free standing tub and HUGE walk in shower will definitely impress. A picture is worth a 1000 words, so lets these pictures do the talki"